The Canadian Yannick Nézét-Seguin has pulled out of a prestige date with the Berlin Philharmonic at the Baden-Baden Easter Festival. He has been diagnosed with ‘a short-term condition’ that requires medical treatment. His replacement is Pittsburgh’s Manfred Honeck. The programme is olde-worlde: Brahms Tragic Overture, Schumann cello concerto (Yo Yo Ma) and Tchaikovsky Pathetique Symphony. Hope he recovers – I just saw him conduct a wonderful Mahler 8 in Philadelphia on March 11, 2016. I was at the March 12 Mahler 8th. It was terrific but he looked quite drained afterward. But then again who would not. The Philadelphia Orchestra played as well as I have ever heard them play- resplendent brass, beautifully tuned woodwinds, and yes those marvelous string sections. Yep – still among the top 2 or 3 in the word despite what some Eurocentrics think. I was in Philly for M8 on March 10. It was just fantastic, beyond words, and he was truly remarkable in form and interpretation of this masterpiece. 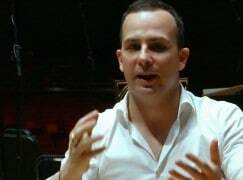 Funny it’s the “Canadian” Yannick, but “Pittsburgh’s” Manfred Honeck. It may make your mouth burn to say it, but it’s “Philadelphia’s” Yannick Nezet-Seguin. Unless, of course, you want to go with “Austria’s” Manfred Honeck? And why not Rotterdam’s Yannick? Just Yannick is all right. Yannick is mentioned at the top of the article, and in general relation to his health as well as the one concert cited; he is Canadian, so the statement is both correct and fair. The mention of Honeck, on the other hand, is in relation directly to this one concert only, so it is more relevant to mention the orchestra he is associated with. It’s “Pittsburgh’s Honeck” in relation to the “Berlin Phil in Baden Baden”, not in relation to Yannick. There are plenty of people who could do the Met job.